The Union Home Minister Shri Rajnath Singh has called upon the law enforcement agencies to adopt new technologies to enhance their capacities to contain terror and to counter the emerging challenges to homeland security. He said that India has been facing security and terrorism-related challenges for years and there are multiple vulnerable areas that are prone to various risks. The Union Home Minister was inaugurating the 3-day Defence & Homeland Security Expo and Conference – 2018, organised by PHD Chamber of Commerce and Industry in association with Ministry of Micro, Small and Medium Enterprises (MSME), here today. 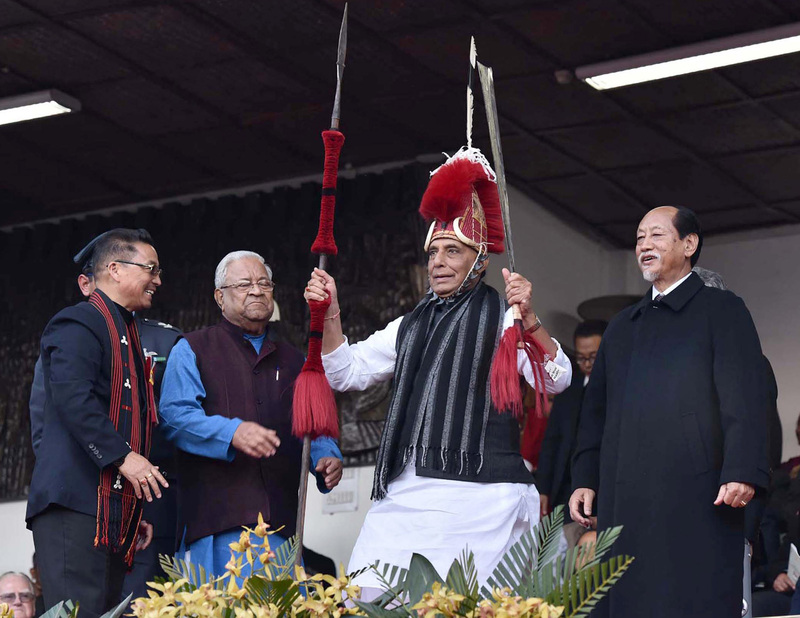 Shri Rajnath Singh said that the Government will soon implement the new Drone Policy which was announced recently, containing comprehensive regulations on the use of drones. He said drones are being increasingly inducted into the Indian security establishment to monitor sensitive and vulnerable areas prone to security risks including thick and dense jungles in Left Wing Extremism (LWE) affected areas in which physical monitoring is extremely difficult. Shri Rajnath Singh also announced technological upgradation and modernization to monitor and check activities related to terrorism especially in Jammu & Kashmir, Gujarat and Assam. A new technological solution facility is already due to be unveiled shortly in Jammu region. He said that our security forces are guarding one of the longest borders in the world, running across more than 7,500 kms, out of which physical barrier is not possible for around 900 kms length. And to secure such a long non-physical border, we need to use the latest techniques such as laser, radar and other means, he added. The Union Home Minister said that cyber crime is the biggest challenge in today’s world and to counter it, we need to adopt latest technologies. For this, the MHA has created an exclusive Division in the Ministry of Home Affairs, he added. Terming the Public-Private Partnership in Homeland Security as a unique effort, Shri Rajnath Singh said that issues related to the prevailing Industrial Licensing Policy for Homeland Security Manufacturers would be sorted out shortly in consultation between the Ministries of Home Affairs and Commerce & Industry. The Home Minister said that the financial powers of chiefs of Paramilitary forces have been enhanced significantly to speed up and simplify the procurement process. In his address, Director General, CRPF, Shri Rajeev Rai Bhatnagar gave a detailed presentation on how the Paramilitary force is engaged in providing and ensuring security to the nation and its future requirements. Pertinent issues related to Homeland Security and Defence Modernisation with exclusive partnership from the Micro, Small and Medium Enterprises (MSME) segment would be discussed and deliberated upon at great length during the 3-day Conference. The expo is being organised for the first time to make leading policy makers and luminaries from diverse defence segments take part with special focus on MSMEs in defence production and procurement. The expo is cutting across various industries vis-a-vis surveillance, cyber security, bulletproof jackets, robots, drones, hi-tech equipment including livelihood items, research and development and police modernisation.